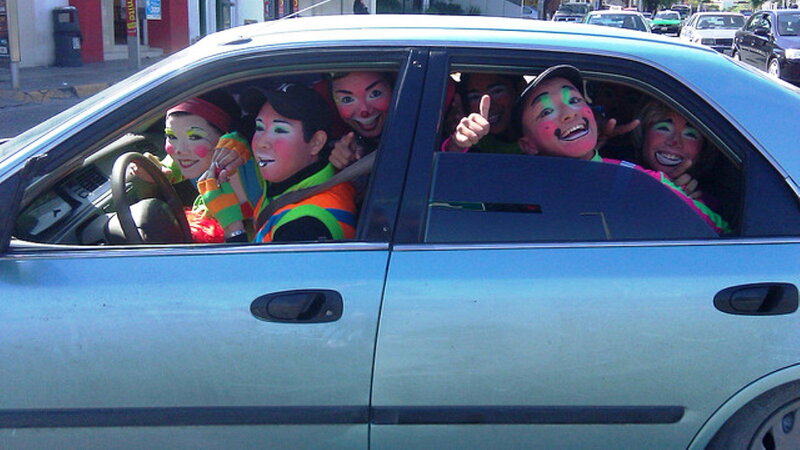 The classic gag of a dozen clowns getting out of a small car never gets old. The early Honda Civic, and every Honda Fit, make sure the clowns get there on time, and get great mileage along the way! 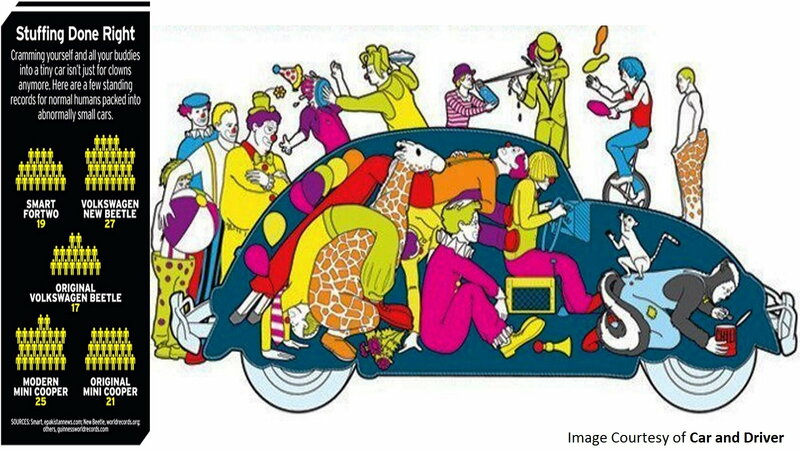 Years ago (the March 2011 issue), Car and Driver magazine did an expose of just how you get so many clowns into a car. Seeing as how they have engineers and geeks on staff, as well as a clown or two, the math got very complicated. John Pearly Huffman is much better at describing it all than me, so I suggest you click over to Car and Driver's Physics of Clown Cars. I will say though that the typical clown car holds 15 to 20 clowns, after you take out the seats, dashboard, and the partition between the passenger compartment and trunk. How many people have you have in your Honda? 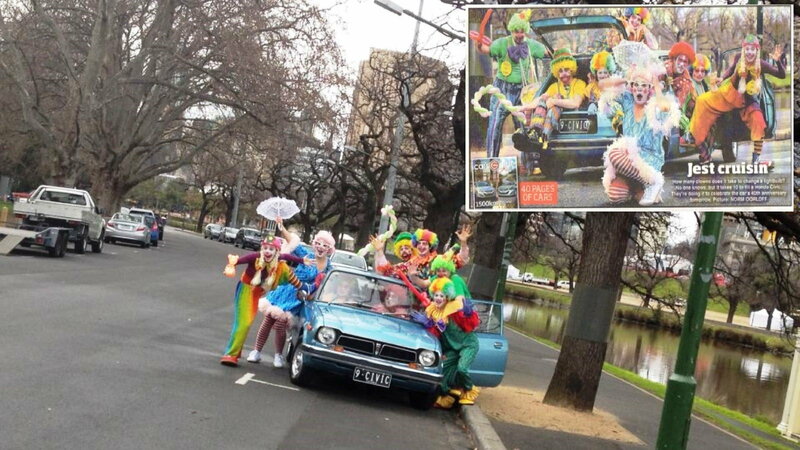 In association with the 40th anniversary of the original Honda Civic, a group of clowns tried to set the world record for most clowns in a car, using a 1st generation Civic. Unfortunately, I don't think they set the record, because I can't find any report of it online. 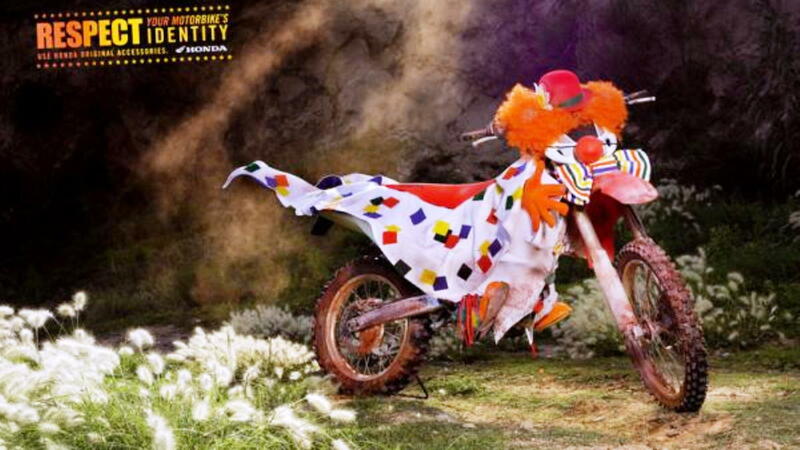 The head clown, and owner of the car, is Minnie the Clown of the UK. This group does not appear to be made up of professional clowns, and their Civic appears to still have the full interior, but that makes it even more impressive that they squeezed 10+ people inside. There is no more real information available, though the picture appears to be in central or south America, and it appears to be a mid 1990's Honda Civic sedan. 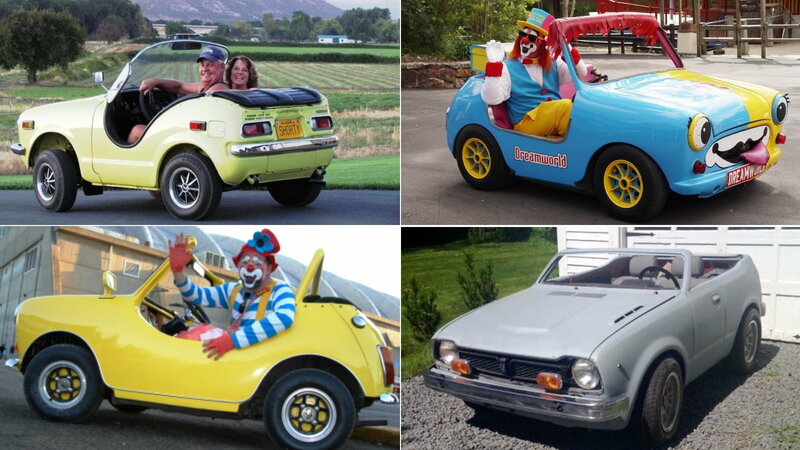 Another genre of clown car is the cut down, short wheelbase, cartoony two-seater. The most popular models for this are the Honda Civic, N600, and the old style British Mini. The self contained front wheel drive chassis of these cars makes them an easy cut and shut away from being the sort of car you'd expect to see Daffy Duck Driving. These tiny cars are very popular with loner clowns who work alone and don't want a partner, not after what happened to the last one. 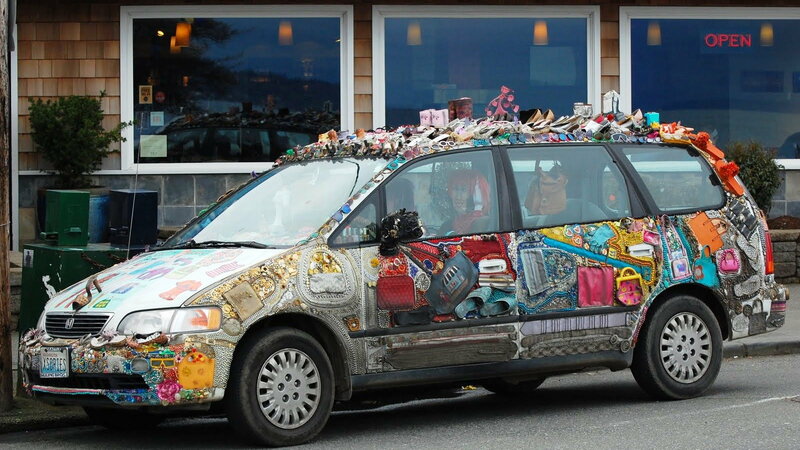 Technically, this is an art car called Xsories, covered in fashion accessories, but just imaging how many clowns you could pack into it! If a regular 4 seat car can hold 15 clowns there should be no problem getting 30 or 40 in this Honda Odyssey Van. These are not clowns per se, but they are actors and performers from the Fringe Festival of performing arts, all squeezing into a Honda Fit (I think). This was done as a publicity video for the festival a few years ago. There was actually a play that took place in the car, with the driver and passenger acting it out for the two people in back. 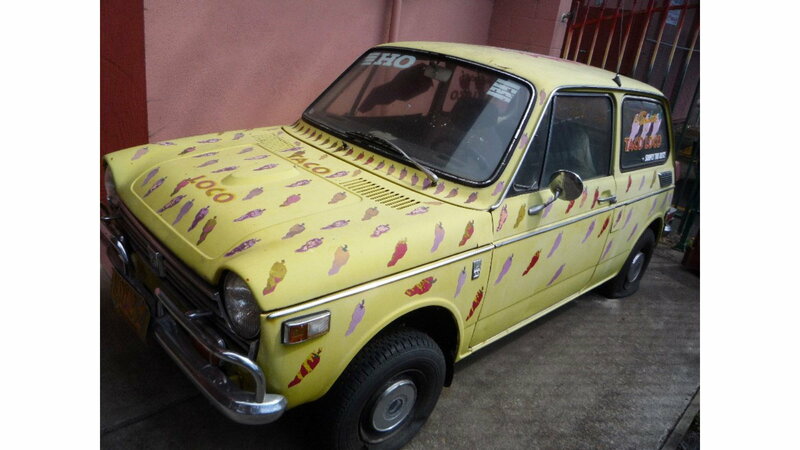 This sad, once vibrant, custom painted Honda N600 used to be a promotional piece for a restaurant called Taco Loco. I like to imagine a Mexican themed clown with a big sombrero drove it in parades. This poor, confused Honda dirt bike was modified with other than genuine Honda parts and accessories. Now it is funny looking. This was an official Honda magazine ad in South America. If this slideshow has left you confused and maybe a little afraid, whatever you do don't check out this Creepy Clown Thread on the Honda-Tech general discussion forum. But, if you have Honda problems you can't solve that have nothing to do with clowns, visit the Honda-Tech How To section, with step-by-step repair and diagnostic guides.